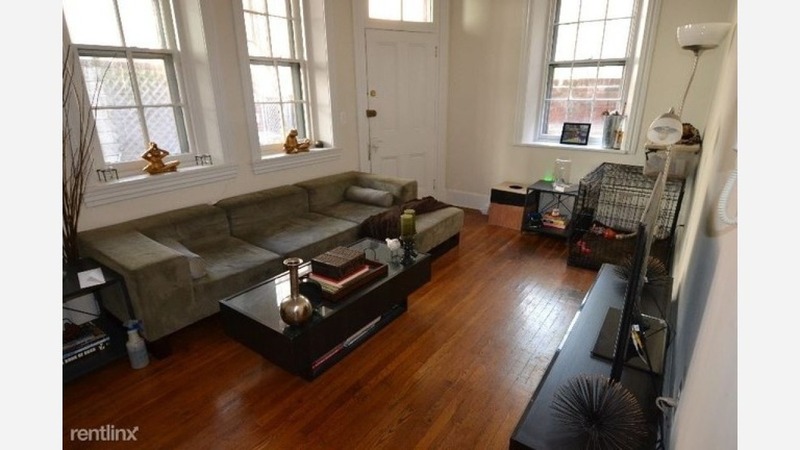 Renting In Rittenhouse: What Will $1,900 Get You? Listed at $1,895 / month, this 1-bedroom, 1-bathroom apartment is located at 2013 Spruce Street. In the historic brownstone, you can expect hardwood floors, a dishwasher, in-unit laundry, garden access, and additional features. Multiple units are available. Good news for pet owners: cats and dogs are welcome. Next, there's this 1-bedroom, 1-bathroom apartment located at 2017 Spruce St. It's also listed for $1,895 / month. In the unit, there's a full kitchen including dishwasher, in-unit laundry, and hardwood floors. Easy access to the main attractions of the neighborhood and the rest of the city. Both cats and dogs are permitted. Here's a 612-square-foot 1-bedroom, 1.5-bathroom townhouse at 2224 Manning St that's going for $1,895 / month. The master bed-bath is upstairs, the kitchen, living room, half-bath and outdoor patio share the main floor, and a finished basement gives you extra space below. A dishwasher, in-unit laundry and storage space are additional conveniences. The building is located on a tree-lined alley within walking distance of popular attractions in the area. Cats and dogs aren't welcome.